Going beyond the mere mapping of the minority situation in South Asia, the essays in this volume explore the modern minority problematique in a democracy as integral to modern state-making processes, recognizing Nation and State as majoritarian concepts. Focusing on the South Asian context, they emphasize minority as a political category. Further, they move away from isolated national frames and explore the minority question as a foreign policy question. These second generation studies by authors who have defined the scholarly discourse on minority rights in the region invite comparative analyses and point towards the necessity of addressing the minority question regionally. The book reveals the limits of the strategy of political liberalism in delivering equality and justice to minority groups. But it also points to a positive shift in the politics of some of the minority communities-a moving away from the politics of difference towards a politics centred on egalitarian claims, and common issues of democratic governance. 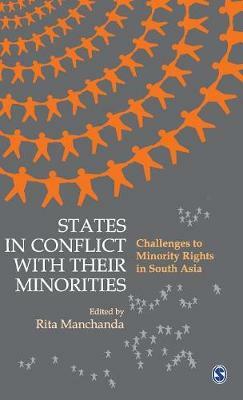 Some essays examine specific trends of minorities' rights in countries like India, Pakistan, Bangladesh and Sri Lanka, while others take a more general account of the intellectual trends of minority constitution, the development of the minority discourse and the accommodation of social, political, economic and legal aspects of this section of the population. The book encompasses issues such as stereotyping of minorities, state induced politics of polarization, development of an economy of collusion and co-operation, institutions enabling greater inclusion, etc. The book will be extremely valuable to policy-makers, NGOs, human rights activists and students of political science, sociology and international relations. The book describes South Asia as a land of minorities, indicating towards a peculiar observation that the majority in one country happens to be the minority in the other. It points to the fact that pluralism has been the intrinsic characteristic of all South Asia states...The book goes beyond just a mapping of minority situation in South Asia, and identifies the modern minority problematique in processes of state formation, nation building and practice of liberal democracy... The book is definitely a positive addition to the existing knowledge and scholarship...It develops a cross-country perspective to minority rights, and constructs the minority in contradistinction to the nation and state. The book is a collection of very readable pieces written with compassion for peoples on the margins. It may be recommended for all students of South Asian politics and minority/ethnic affairs.